Good evening! I hope you all have had a beautiful weekend. 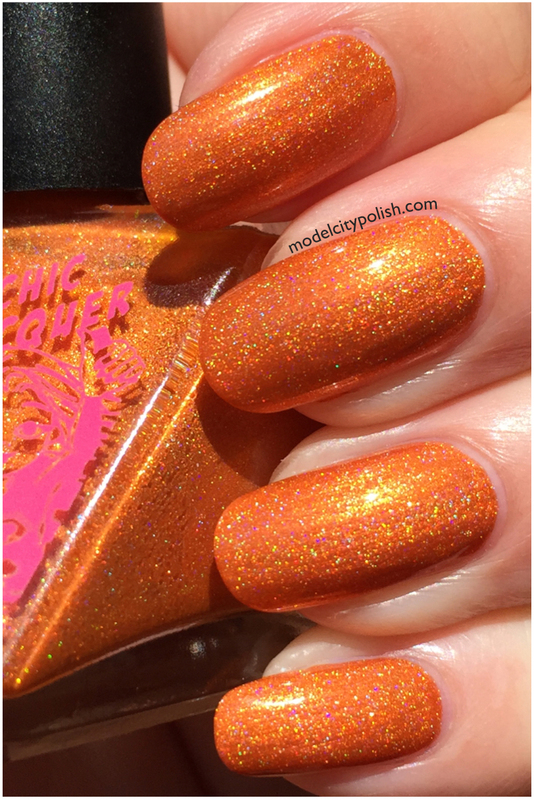 We have had nothing but sun and warm weather, which was perfect for swatching some lovely new holos from SuperChic Lacquer. 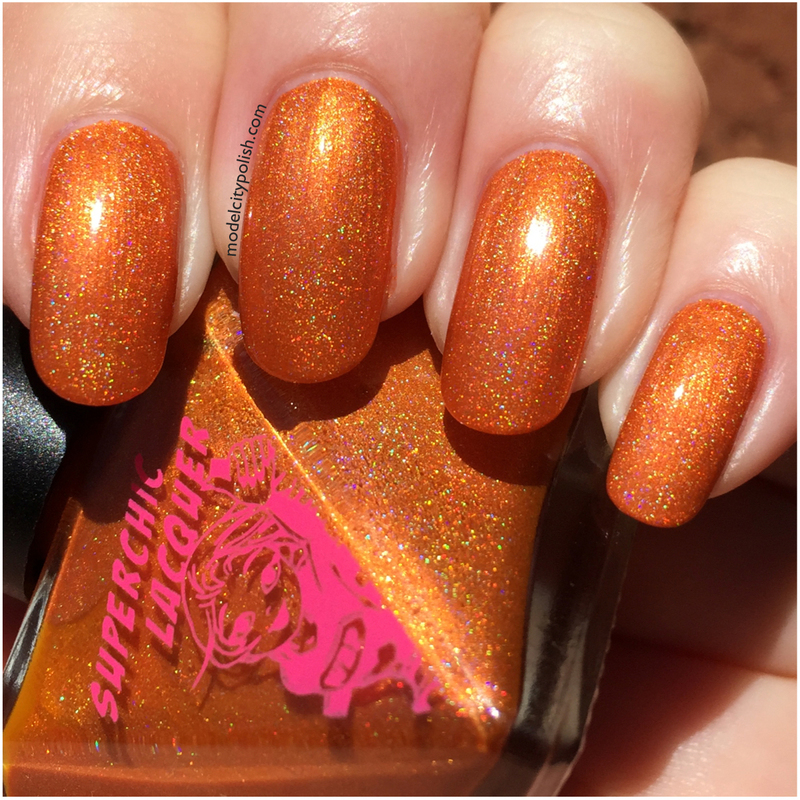 On May 8th SuperChic Lacquer will be releasing a fabulous neon chrome linear holographic set that is appropriately named High Voltage. 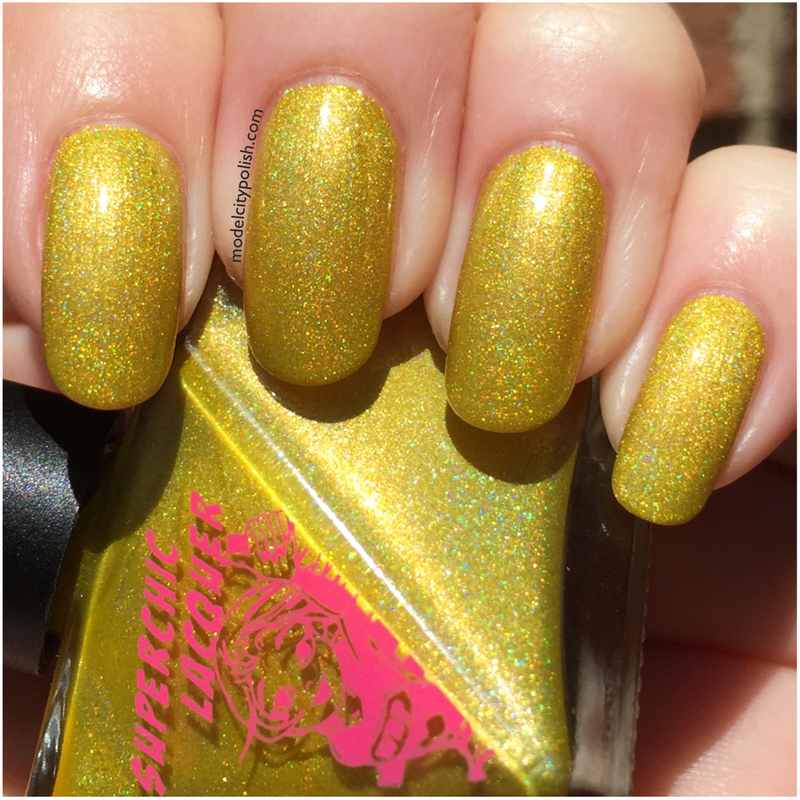 The High Voltage Collection is a large collection consisting of 8 blends that round out a perfect rainbow and is sure to have a color for anyone. This evening we will take a look at the first half of this new collection. 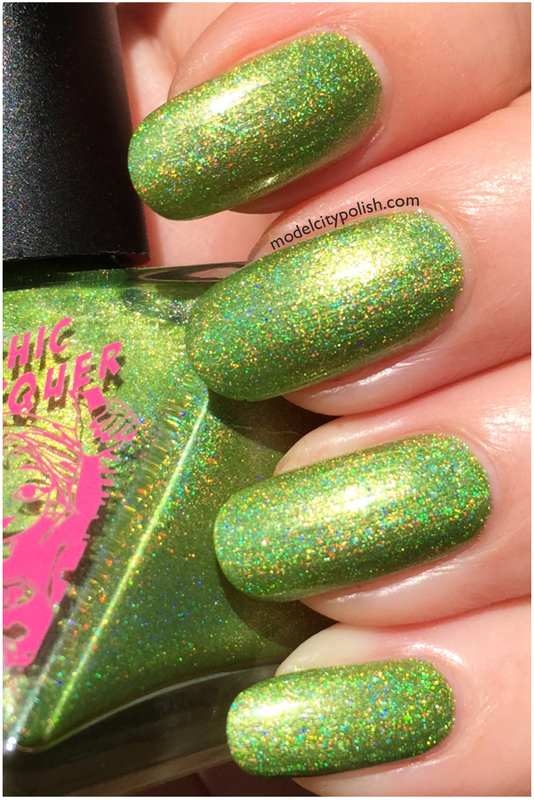 First up we have Hot Finger. 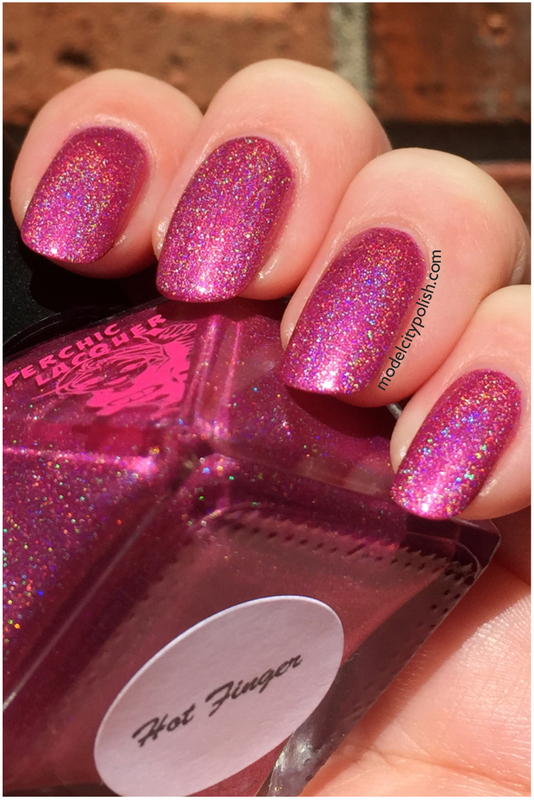 This is a chrome hot pink holographic blend that is sure to energize the senses. 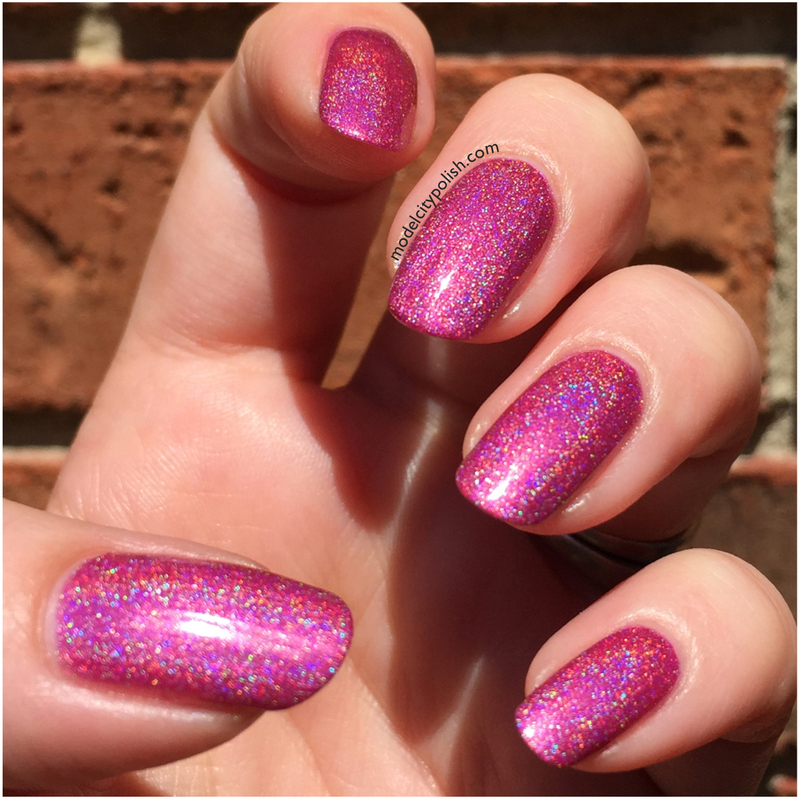 In my photos I am wearing two coats of Hot Finger and one coat of clear. Next up we have Reverse Polarity. 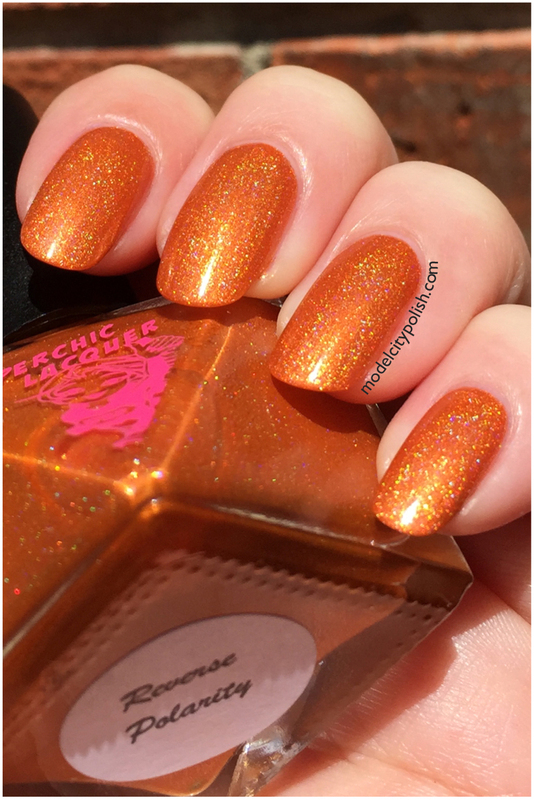 This is a stunning tangerine chrome holographic blend that is not only perfect for summer, but fall too. 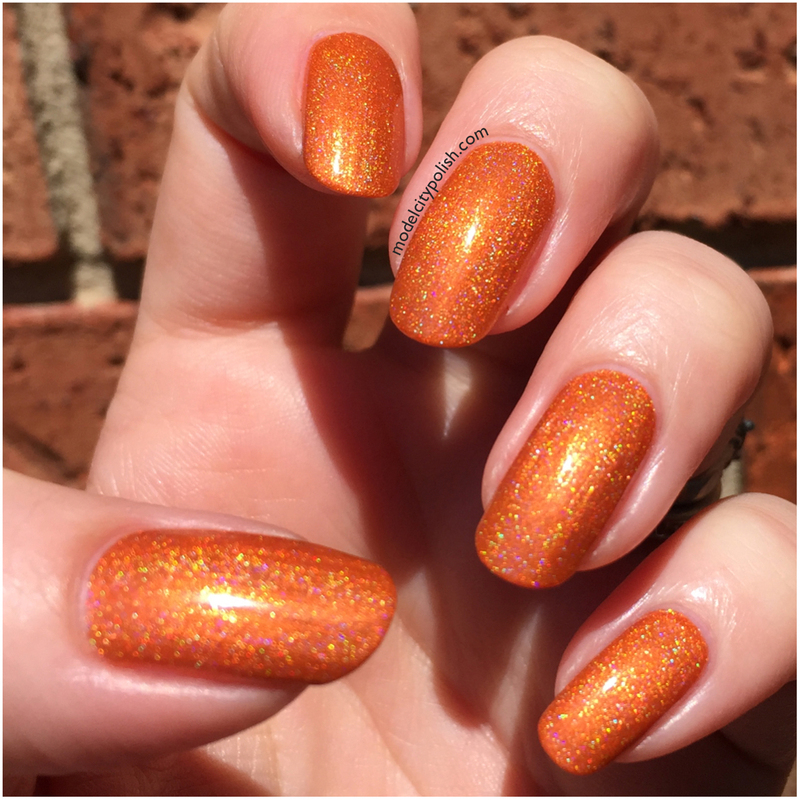 In my photos I am wearing three coats of Reverse Polarity and one coat of clear. Next up we have Electrified. 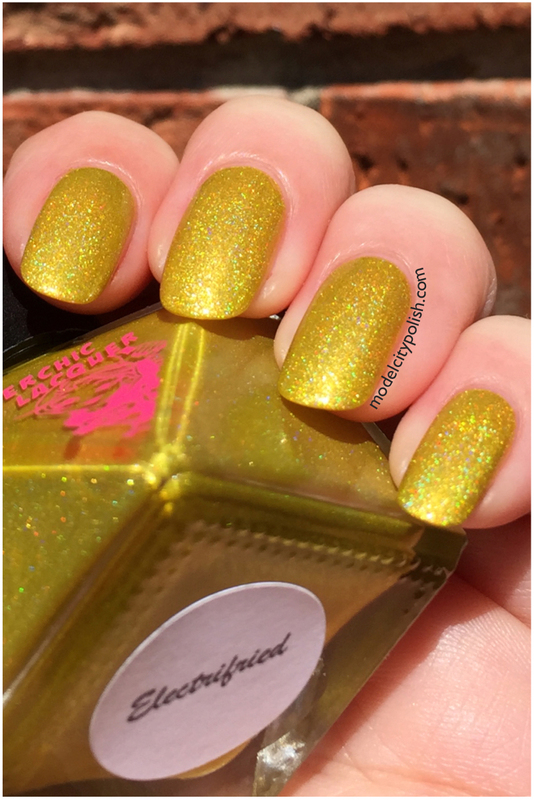 This is an amazing yellow chrome holographic blend. I was surprised at how well this one played with my skin tone, some yellows do not agree with me but not this one. 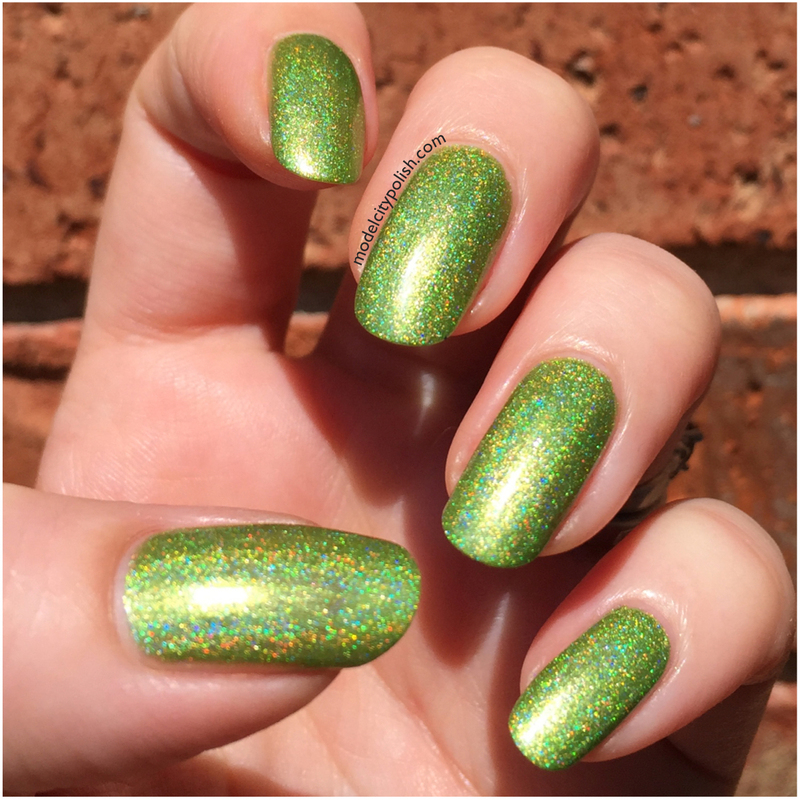 In my photos I am wearing three coats of Electrified and one coat of clear. 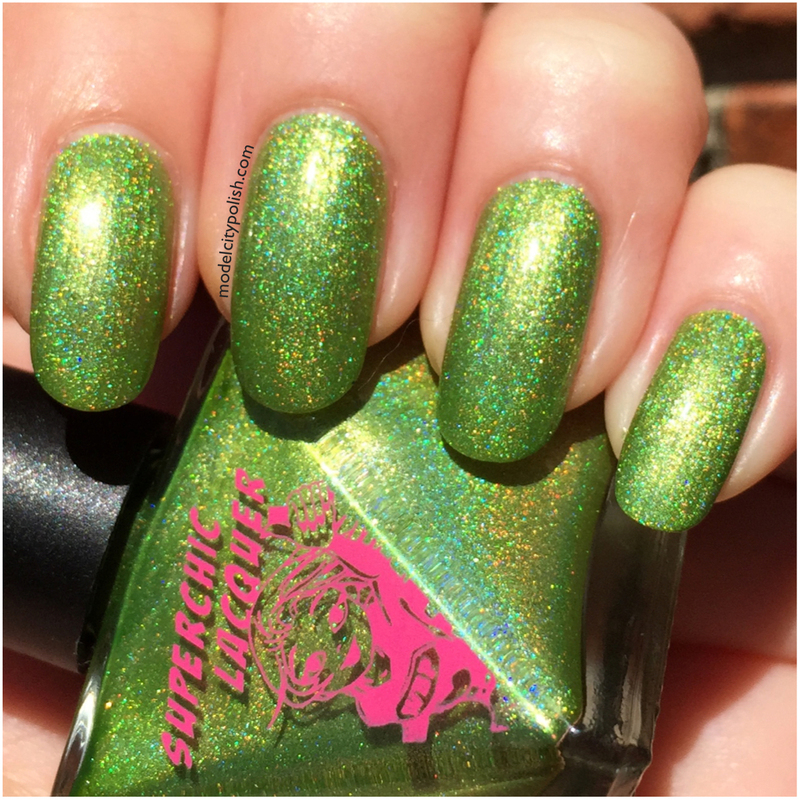 Lastly for today we have Live Wire. 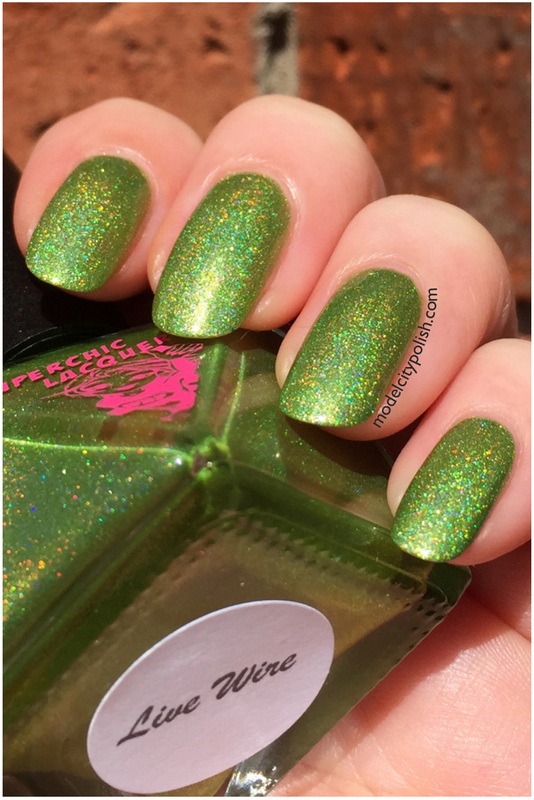 This is an intense lime green chrome with a strong holographic flash. 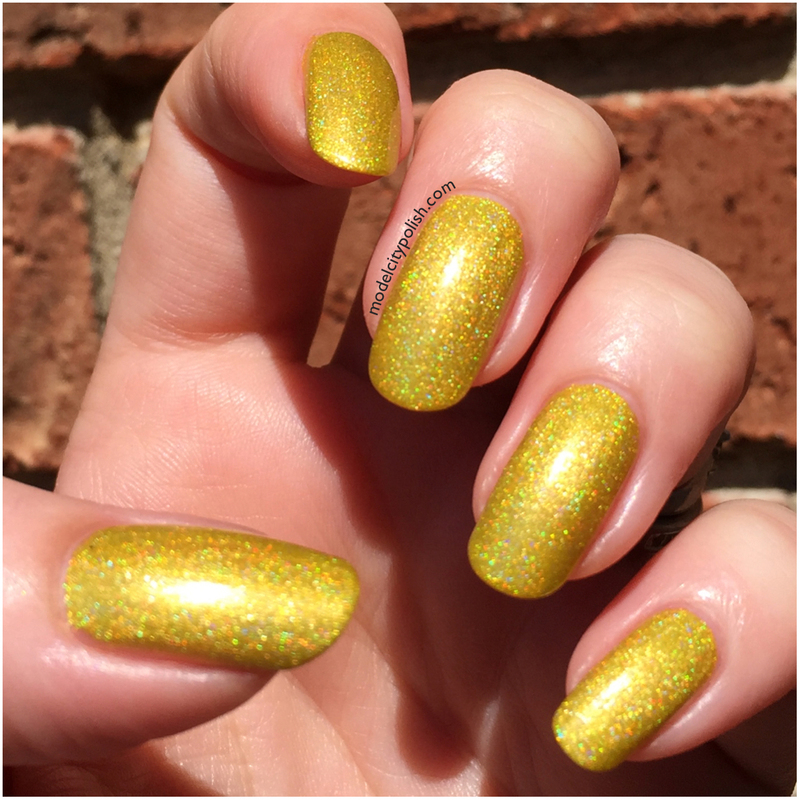 In my photos I am wearing two coats of Live Wire and one coat of clear.